Rob Cesternino and Akiva Wienerkur will let you eat all the shrimp you want while you listen to the new Seinfeld Post Show Recap. This time, they discussed “The Comeback”, which first aired January 30, 1997 as part of season eight. The episode was written by Gregg Kavet and Andy Robin. Emails – Shawn Falconer compiled a list of all the times “hot takes” was said on the show. Johnny De Silveira pointed out you could see puddles in the “indoor” tennis courts. Caleb asked if this episode could be a catalyst to cat fishing. Craig commented how he loves saying “another point for Milos!”. Dan the benefactor used to work at Blockbuster and would recommend movies to customers all the time. Lindsay asked if they’ve ever been convinced to buy something they didn’t need. Mike wondered if the writers got the idea for the coma from Jack Klompus suffering one in real life just before. Pat in Ohio asked why Elaine would be okay with Vincent smoking when she wasn’t with Keith Hernandez. Amir pointed out that Kramer talked about comas in a previous episode. Finally Chester wondered why Milos was wearing a sweater during the tennis game. He also wondered where Elaine got fireworks in the city. Tune in next week as the guys will recap “The Van Buren Boys”. Send in your questions by emailing [email protected]. Don’t forget to subscribe to the podcast by going to postshowrecaps.com/seinfelditunes where you can rate and review the podcast. You can get a discussion going by leaving a comment on the show pages, and as always, you can follow them on Twitter @robcesternino and @keev26. Special thanks to Mike Moore for writing this week’s episode summary. Akiva Wienerkur is a former high school English teacher and NBC Sports researcher who now works for a tech start-up. He loves the Jets, the Mets, his wife, his son and 2 daughters- not necessarily in that order. 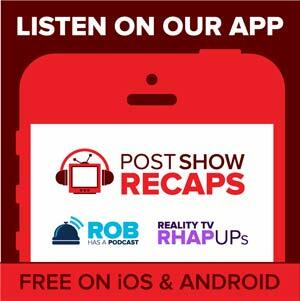 Subscribe to RHAP and never miss an episode!